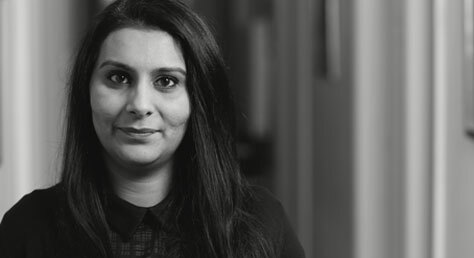 Family partner Amna Khaliq assisted by caseworker Gemma Adams represented the Respondent Mother on an application involving ‘Hague’ proceedings. The Applicant Father sought the summary return of the children to the USA. The Judgement is cited at ROL v HML (Child abduction and immigration problems)  EWHC 3654 (Fam). The case was before Mr. Justice Holman in the High Court on the 13th December 2017. The Respondent Mother raised a defence under Article 13b that a summary return of the children to the USA would expose them to grave risk of physical or psychological harm or otherwise place them in an intolerable position. The other defence was specifically in relation to the elder child, (who would be thirteen the following month), that she objects to a return forthwith pursuant to the Convention. A CAFCASS Officer was appointed who provided a report to ascertain the state of mind of the older child and whether her preference went beyond a strong preference and crossed the threshold of amounting to an objection to return. The CAFCASS Officer gave clear evidence and was clear that the child’s state was not such that it was sufficient to amount to an objection to return. Having heard all submissions it was Mr. Justice Holman’s view that provisionally, as evidence stands, if the mother could lawfully enter America and remain there, and whilst even when a child objects to a return, the Court needs to take account of the lead up to the wrongful removal and the objectives of the Convention, which are, when possible, consistent with the welfare of the child concerned, to ensure the prompt return of an abducted child to the state of habitual residence, so that proper decision-making as to their future can be made in that state. With that in mind Mr. Justice Holman accepted the evidence of the CAFCASS Officer. He was of the view that the objection was not hard or extreme but more borderline. Mr. Justice Holman then gave a provisional Judgement that the mother should return to the US with the child, resolve her immigration issue and if able to travel in and out of the US freely. The matter was therefore part heard for the mother to resolve her immigration status in the US, when the matter would return to determine if the mother had resolved her immigration matter and could move back to the USA and travel in and out of the USA freely. Please see further news item which is an update as to how matters turned at the next hearing due to the immigration issues mother faced in the USA that led to the case being listed for a contested hearing with the mother relying on her immigration status and the eldest child’s views hardening as a reason for the Judge to revisit article 13 (b).